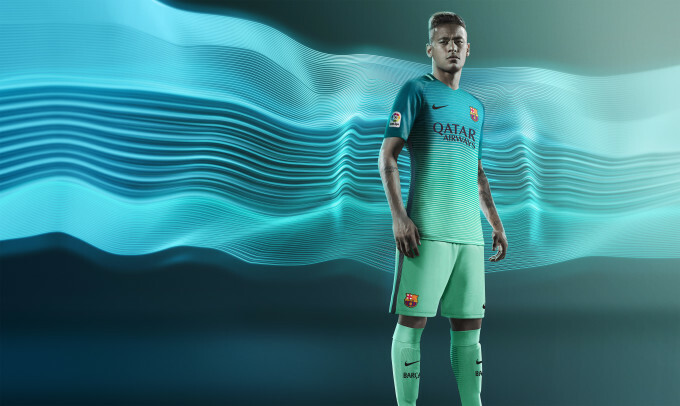 Barcelona&apos;s latest kit with Nike is significant in more ways than one. As well as the blue and mint colouring being a nod to the glorious Barca change strips of the early 1990s, the kit is also made entirely from recycled materials as part of Nike&apos;s commitment to sustainability. Barca&apos;s 2016/17 third kit is produced with recycled polyester fabric, which is the result of plastic bottles being melted down to produce a fine yarn. It takes 16 plastic bottles to produce the new kit. Barca&apos;s new kit is made from 16 recycled plastic bottles. FC Barcelona&apos;s new third kit incorporates a vibrant blend of green tones, with the shirt featuring contrasting horizontal lines against a glow green background, fading towards the hem. 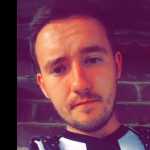 The shirt&apos;s modern v-neck collar incorporates a lighter green band with the club&apos;s name on the back, while the sides of the kit have a black stripe that runs the length of the shirt and matching shorts. The kit gets its release on November 1st.